Recent studies suggest that with some caveats, patients with Fitzpatrick skin types IV to VI can achieve satisfactory results without serious adverse effects. 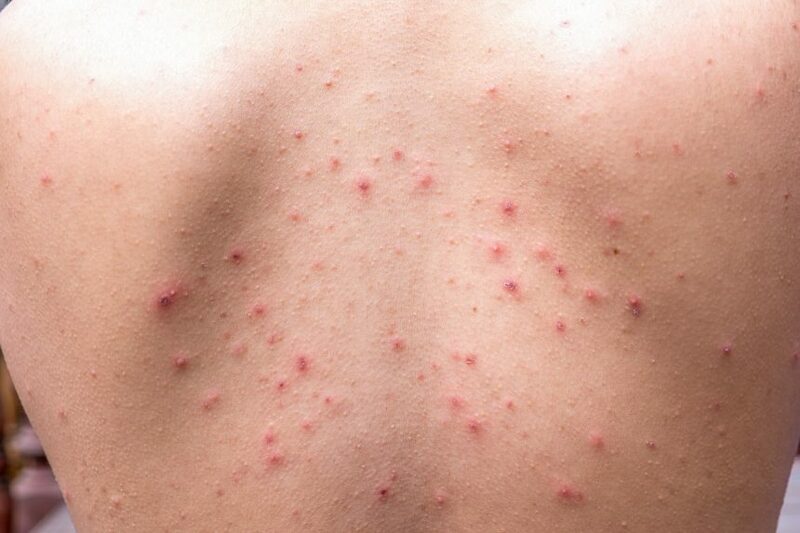 Investigators sought to determine the scarring potential of untreated severe nodular acne of the back. Investigators examined the efficacy of platelet-rich plasma combined with ablative fractional CO2 laser for acne scars. Researchers discuss emerging evidence supporting the role of topical retinoids, such as adapalene 0.3%/benzoyl peroxide 2.5%, in treatment of acne, acne scars, and prevention of scarring. Injectable dermal filler polymethylmethacrylate may be used to effectively treat full-face acne scarring. 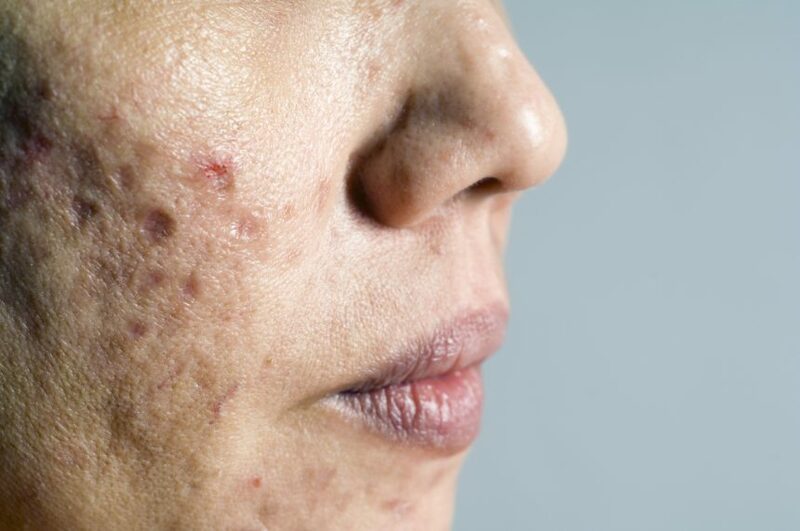 Review revealed that activated, leukocyte and platelet-rich plasma in combination with fractional ablative laser treatment improved the appearance of acne scars. 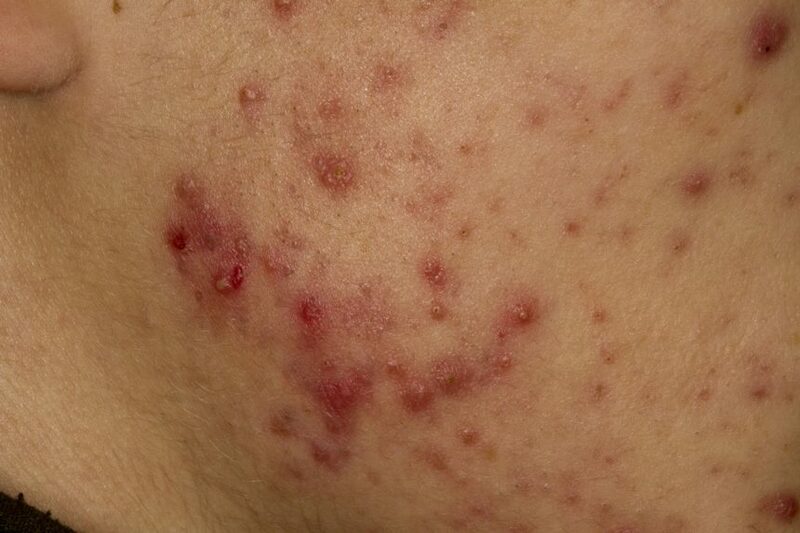 Systemic antibiotic treatment of acne may be associated with transient and persistent changes in the skin microbiota that may underlie skin comorbidities related to microbial dysbiosis. 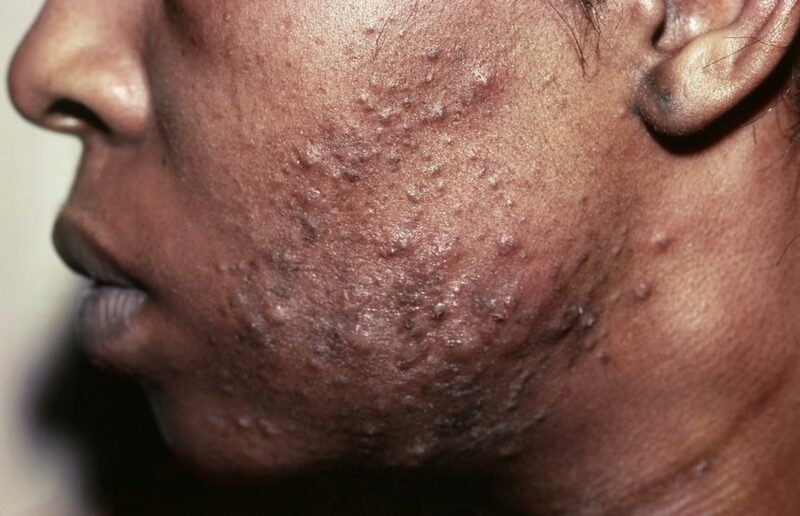 Acne relapses were significantly associated with impaired quality of life and productivity loss. 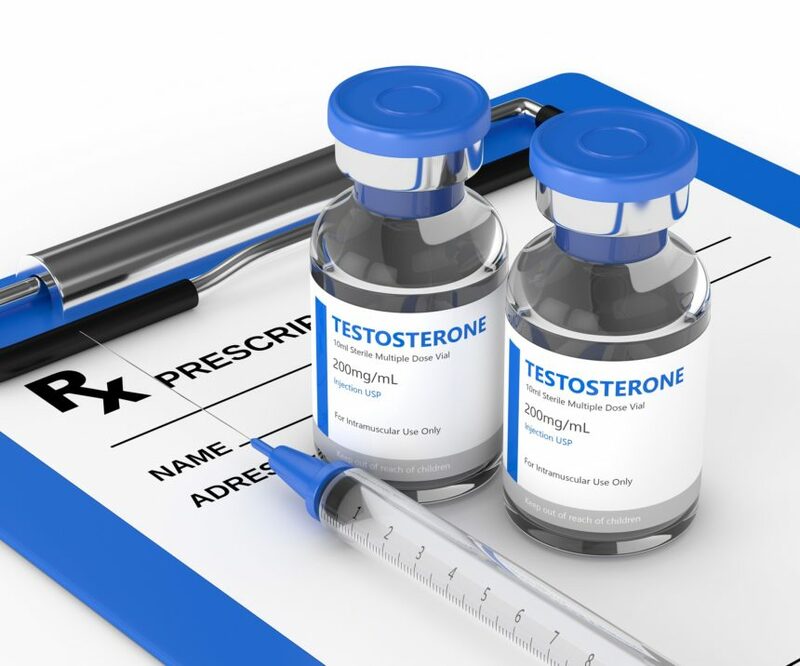 Investigators evaluated the timing of acne onset with regard to initiation of testosterone therapy in transgender men and the biologic, behavioral, and sociodemographic predictors of acne in this population.